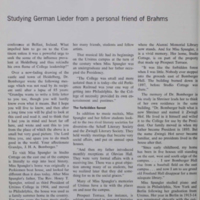 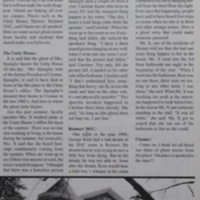 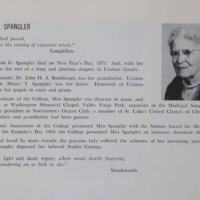 Article from Ursinus Bulletin Spring 1971 announcing the death of Miss Marion Gertrude Spangler. 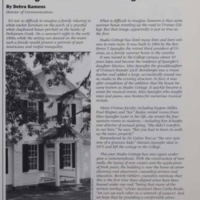 Article from the Ursinus College Bulletin January 1985 about Studio Cottage's transition from dormitory and music studio to a counseling center. 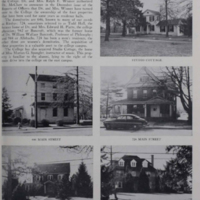 "College Becomes Owner of Five Properties"
Article from the Ursinus Alumni Journal March 1957 about the acquisition of Studio Cottage, 646 Main Street, 724 Main Street, 942 Main Street, and 944 Main Street. 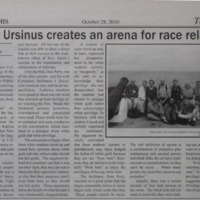 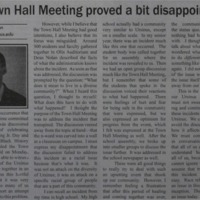 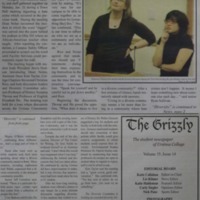 A screening of the film "Traces of the Trade" at Ursinus leads to a "dialogue about white guilt and white privilege"
Report on a town hall meeting discussing the vandalizing of an African-American teacher's podium with a racial epithet.